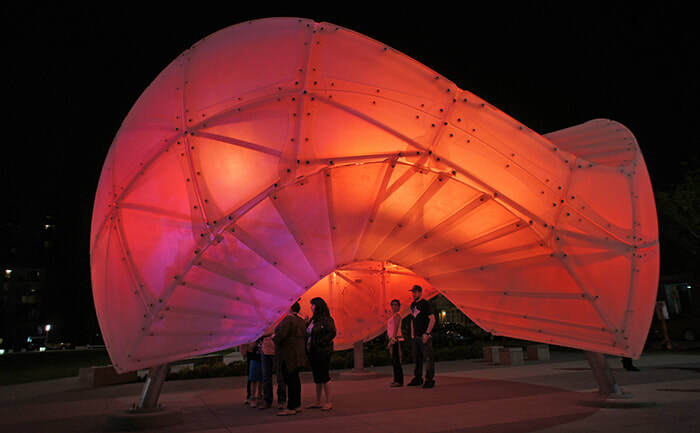 This illuminated sculpture emits a soft glow. 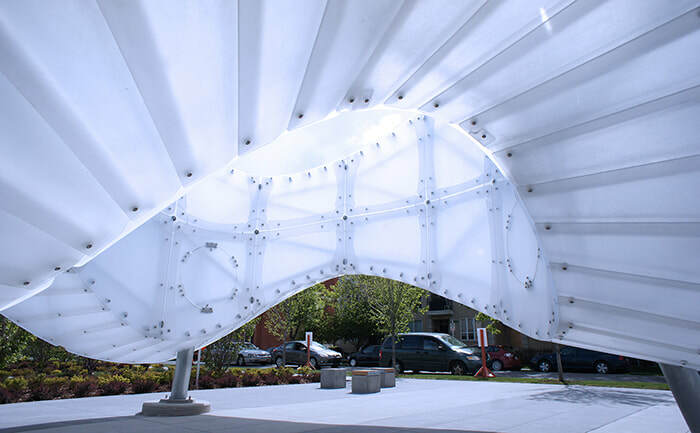 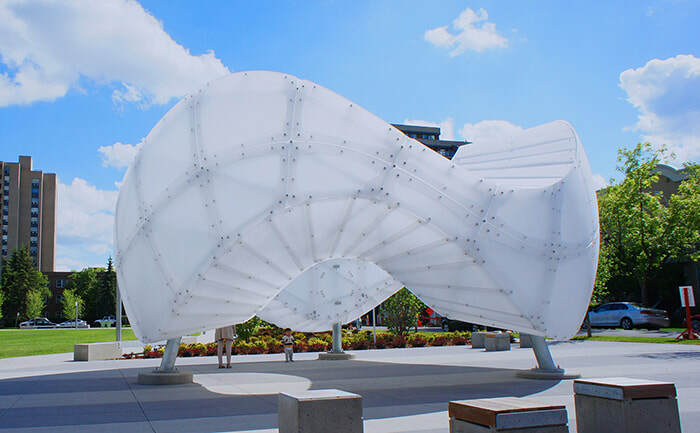 The form draws inspiration from the historic Beltline Streetcar loop as well as the Chinook arch phenomenon that periodically blankets the sky. 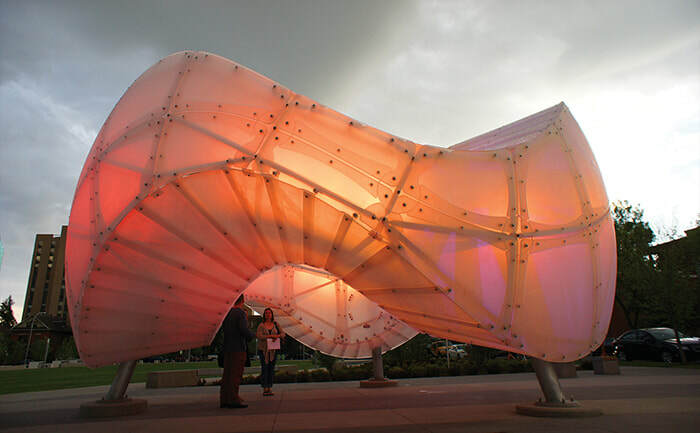 Touch sensitive lighting components invite physical and social interaction, and give the sculpture an emotive, perceptual character similar to a living organism.